Clearly beautiful. 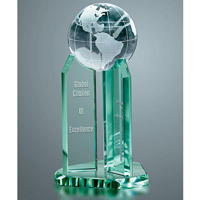 This award features three crystal panes supporting a crystal world globe. 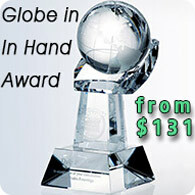 Constructed of fine optical crystal and jade crystal, this design allows for a larger range of engraving messages. Two panes of the three are open for engraving. 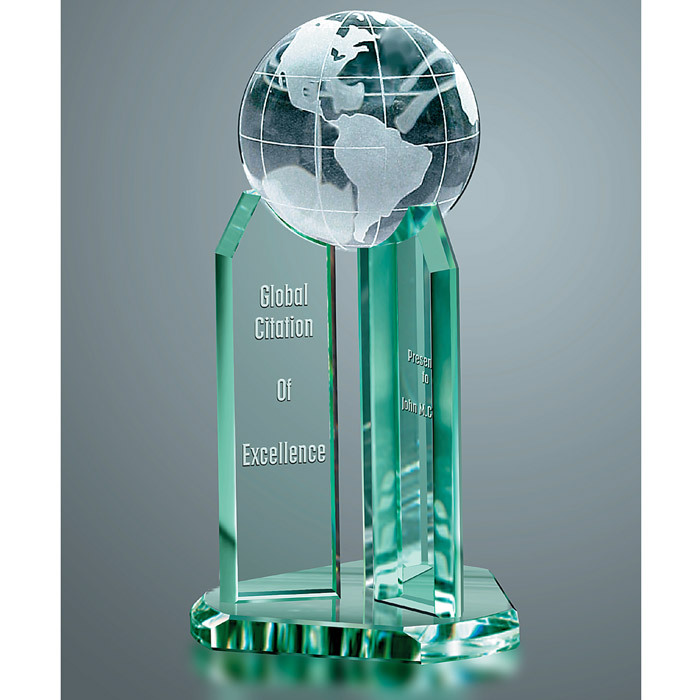 An excellent way to recognize an employee's hard work and dedication. Crystal etching available. 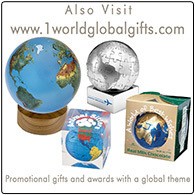 Please add this item to the basket if the product is being custom etched with your logo or text. 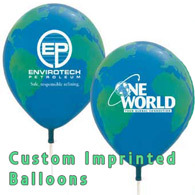 A setup fee is charged per each etching location.